Rhode Island Personal Injury Attorney, David Slepkow was sworn in as a member of the United States Supreme Court Bar. 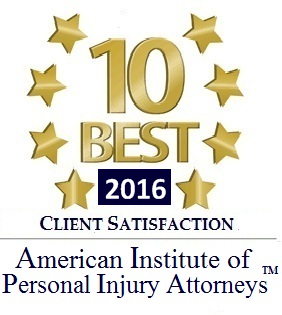 David Slepkow was honored to receive this distinction. On February 22nd, 2012 David travelled to Washington to D.C to attend Oral arguments at the U. S. Supreme Court. Prior to the oral argument, another distinguished Attorney submitted an oral motion before the full Court to the chief Judge for his entry into the the bar. David was part or a small contingent of inductees sworn into this exclusive bar. 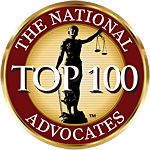 RI Car Accident Attorney, David Slepkow is also a member of the Rhode Island Bar Association, the Massachusetts Bar as well as the Bar for the Federal Court First Circuit District of Rhode Island. David’s late Grandfather Frank Slepkow was also a member of the U.S. Supreme Court Bar. David’s Cousin Matt Slepkow is also a member. David was honored to carry on the Family Tradition started by his grandfather. 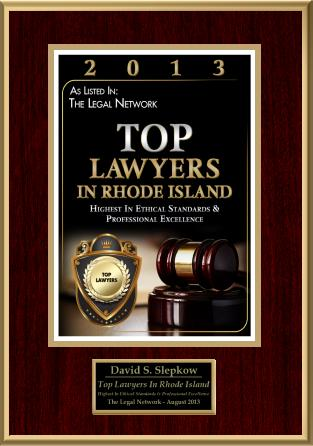 David Slepkow has experience in appellate work at the Rhode Island Supreme Court. David was successful in the RI Supreme Court when he overturned a Rhode Island Family Court Judge’s Decision in a 5-0 unanimous decision in favor of his client. The Rhode Island Supreme Court case is Rogers v. Rogers. In that case the RI Supreme Court determined the residency requirements to file for divorce in RI Family Court.